Indian Railways has launched Rail Radar, a live train tracking service that runs on Google Maps. 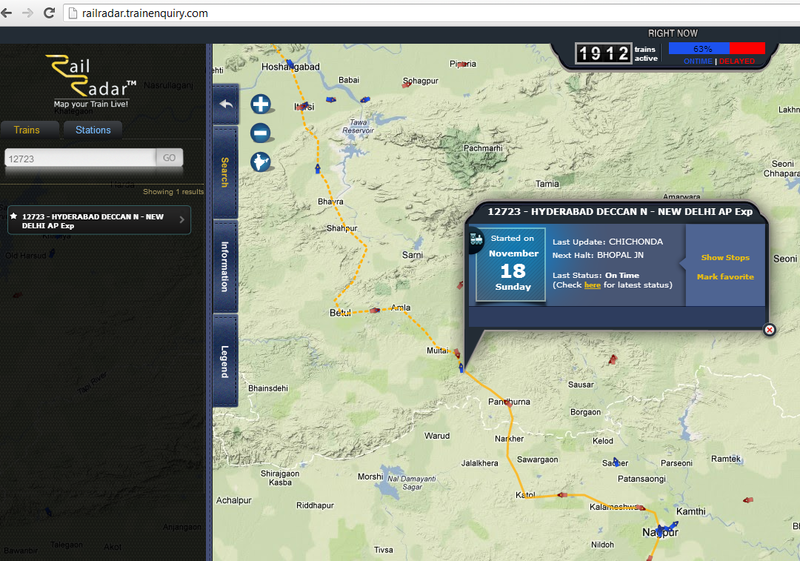 Available at http://railradar.trainenquiry.com/ , the service allows you find out the exact location of a train.This is an improved version of the earlier tracking system ‘Spot Your Train’. The opening screen of Rail Radar has a map of India that gives you the details of the trains running. On the top right is a display that shows the number of trains tracked at that point of time and the percentage of trains that are on time. The map can be zoomed in or out by using the mouse’s scroll wheel (as in Google Maps) or by clicking the ‘+’ or ’-’ icons on the left. The left panel also has a search facility where you can look for running information on specific trains. There is also an option for search by stations.